The Melin Gruffydd Chess Club is held on Wednesdays from 3.30 to 4.30pm for pupils from Year 3 to 6. 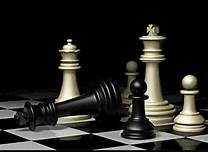 Pupils of all standards of chess are welcome, and everyone will be taught the rules of chess and the basic principles behind the game, including the opening, the middle game, and, crucially, how to get (or avoid !) checkmate. Pupils will be involved in matches and competitions held within the club, and encouraged to play in tournaments outside the school. The school enters a team in the Cardiff School Teams Chess Tournament held at Cardiff City Football Stadium in November, and also the Delancy Chess Challenge, the first part of which is held in Chess Club during the Spring Term. There is a wealth of research that shows playing chess has both educational and behavioural benefits. With each game that a child plays they are developing their thinking skills, concentration, abstract and verbal reasoning skills, their ability to make decisions, control their emotions, and their patience.